Storage: Currently the database holds 5467 collection objects, 13825 preparations, and 3 Type specimens (1 isotype, 1 holotype and 1 paratype). Preparations stored in the database include: dried specimens – 3996, drawings – 111, macrophotographs in situ – 1690, macrophotographs in studio – 3560, measuring data – 362, microphotographs under stereo lens – 1159, microphotographs under transmitted light microscope – 1783, habitat images – 83, spore print – 53. Collectors and determiners. Total number of collectors – 14 (thanks everybody for the effort! ), the majority of specimens (87%) in the collection were collected by two persons (Filippova N., Bulyonkova T.). Identification was performed by a total of 30 specialists through direct work in the fungarium (Filippova N., Bulyonkova T. – a total of 5150 specimens), in other laboratories with loaned material (Zmitrovich I. – 50 specimens, Rebriev Yu. – 34, Novozhilov Yu. – 9, Khimich Yu. – 27, Popov E. – 15, Blagoveschenskaya E. – 12, and others), or making comments on identification through Internet mycological forums (Baral H. – 27 specimens, and others). Reference works: 27% of the collection specimens have been cited in one to four publications. 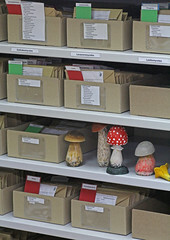 A total of 107 publications are linked to specimens in the database, including journal papers, descriptions in the Red Book of Khanty-Mansiyskiy Autonomous Okrug and publications of specimens in Internet mycological forums (AscoFrance, MushroomObserver, and others). Loans and gifts: about 300 specimens were loaned or given away as gifts to specialists during the existence of the Fungarium. The total number of loan agents (borrowers or donors) amounted to 14, with countries represented as follows: Russia (374), China (19), USA (10), Germany (8), and the Netherlands (1). 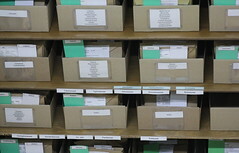 The major collections to which the specimens were donated include the Herbarium of Komarov Botanical Institute, Saint-Petersburg (LE) – 263 specimens; The Fungarium of the University of Illinois, USA – 3 specimens; The Herbarium of the University of Leipzig (LZ) – 1 holotype specimen.